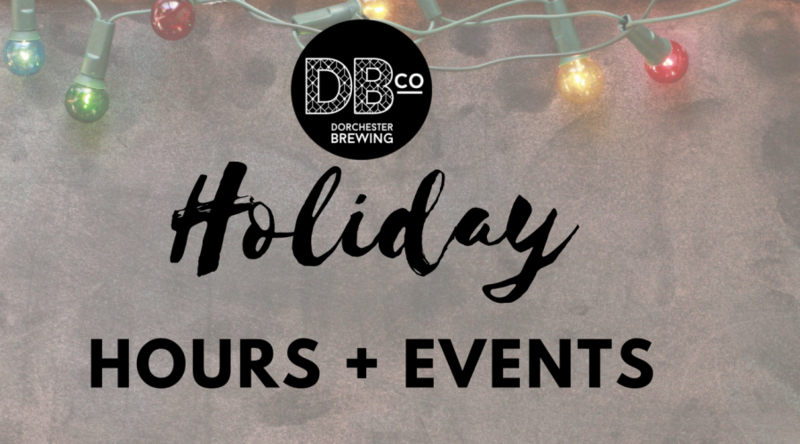 New Year’s Eve: 12/31/18- 11:30am-11pm* Extended business hours for New Years Eve Pre-Game Party! 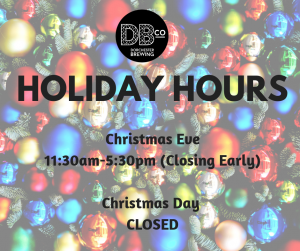 Give the gift of beer! 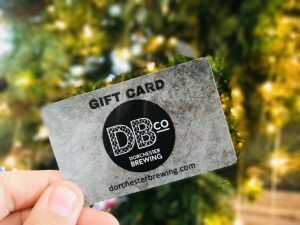 We are offering up Gift Cards for sale in our Tap Room and for purchase online. Through 12/24/18, we are offering you a BONUS $10 when you buy $50 worth of gift cards, you get an extra $10. Buy a $60 DBco gift card for just $50. SO, if you buy $100, you get a $20 BONUS. Shop now!